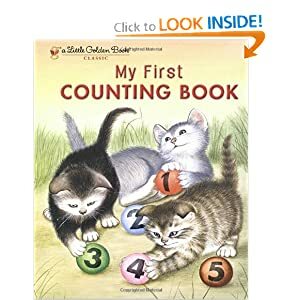 After we finished reading, Aubrey made her own counting book. She chose shoes, babies, pieces of food, animals, and flowers. Before we made the book, we looked through the magazines and made piles of all the things we found. Then she started making her book. I made titles for each page and she just cut and glued the pictues on. I made a title page for her book and stapled it together. She loves reading her book!